Mt. Moon is a cave found in the middle of Route 4. This cave is relatively easily to navigate through, having Wild Pokemon and Trainers found throughout. Moon Stones can be found within the cave, and they Respawn on a daily basis. Mt. Moon is the first location where you will learn of and battle Team Rocket (who are hunting for the rare Moon Stones). You will also keep encountering the Team Rocket duo of Jessie and James, who were first observed in Viridian City, as you venture through Mt. Moon. After defeating the Elite Four and starting the Master Trainers Challenge, you will find a number of Master Trainers within Mt. Moon. 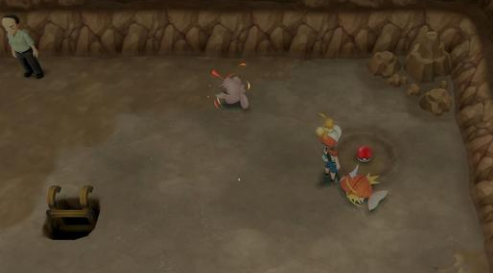 In total, there will be four Master Trainers for you to defeat within the entire cave.